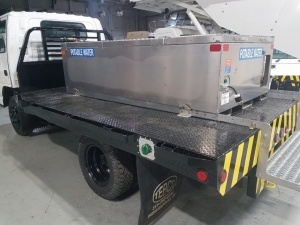 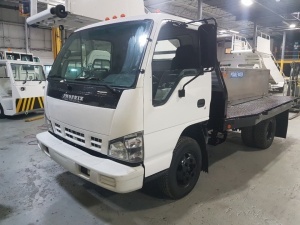 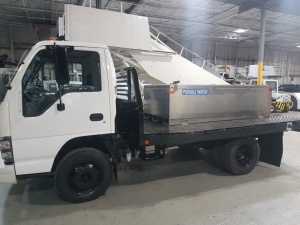 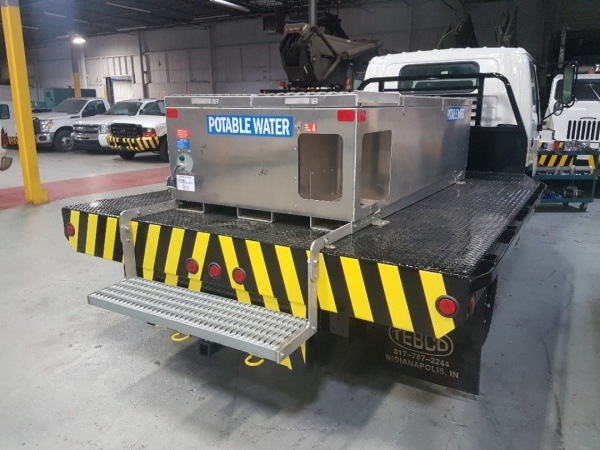 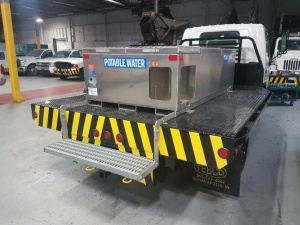 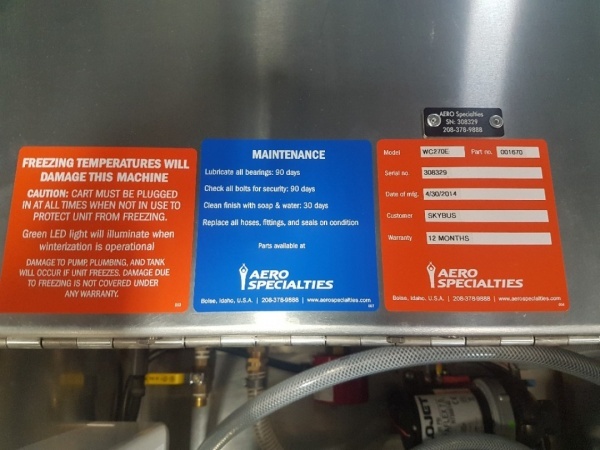 This Custom Isuzu Potable Water Service Truck has been manufactured using the base of an Isuzu truck and a specialized stand-alone tank system from Aero Specialties. 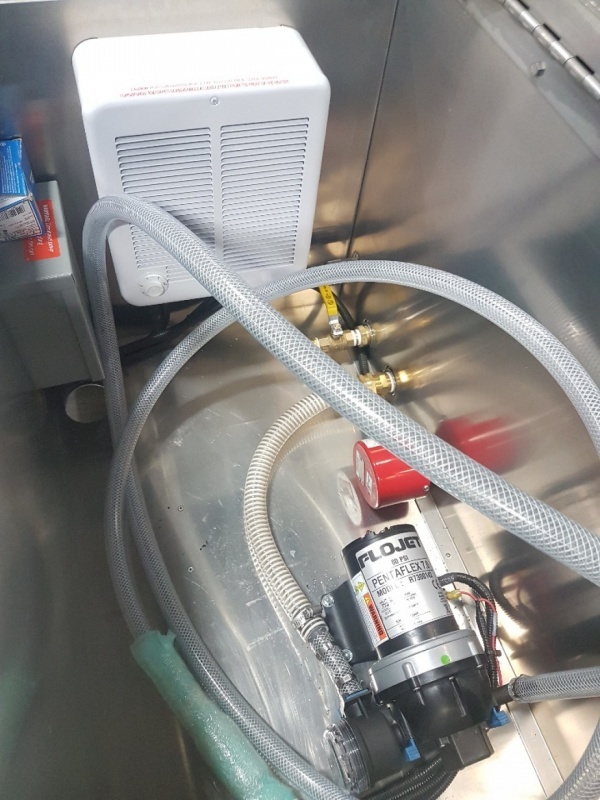 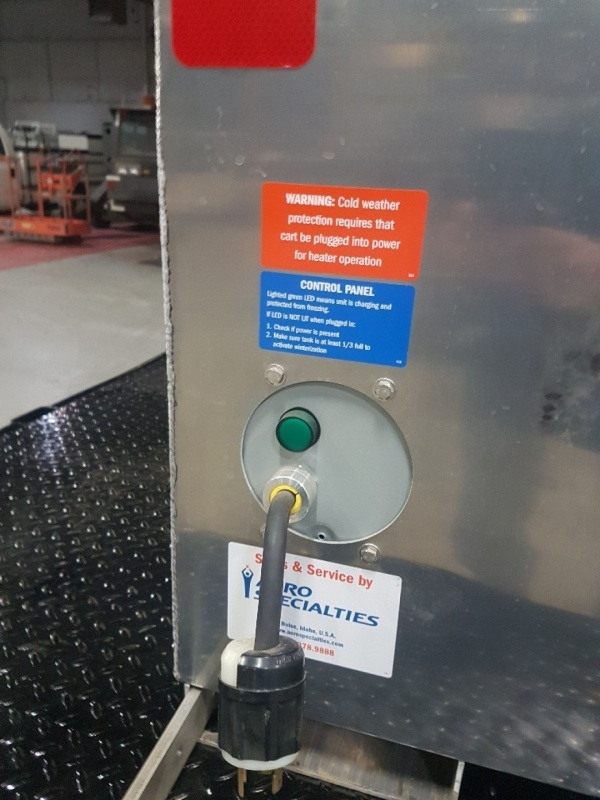 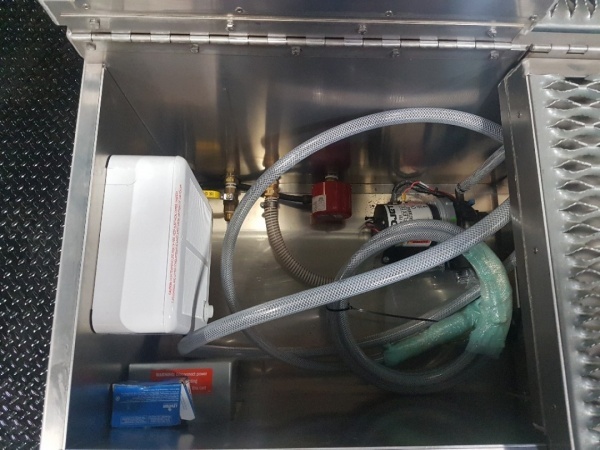 The FDA-approved 270-gallon (1,022 liter) water tank includes an immersion heater to keep the water from freezing. The pump and fill hose sit in the insulated and heated, split-lid rear compartment.